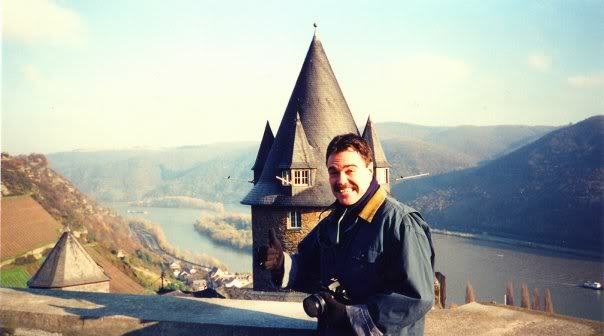 My Uncle Barry at Burg Stahleck on the Rhein River in Rheinland-Pfalz. Day two, the first full day of the uncle and nephew grand tourismo, was about to begin! After a fabulous first day traveling in Germany with Uncle Barry, we both woke up excited for the day’s travels. For my first real German frühstück (breakfast), I had a baguette, salami and turkey in the lobby of the hotel restaurant. Barry and I talked about the day ahead as we went back to our room and packed our things. Barry introduced me to the concept of his compact and neat Eagle’s Creek travel cubes, although I knew he was not really an organized uncle! We checked out of the hotel and packed our gear in the hatchback of our red Opel Astra — a red, four-door, GM car similar to a Honda Civic. We toured around Bäckerath, which was my first taste of a Rhine River town. 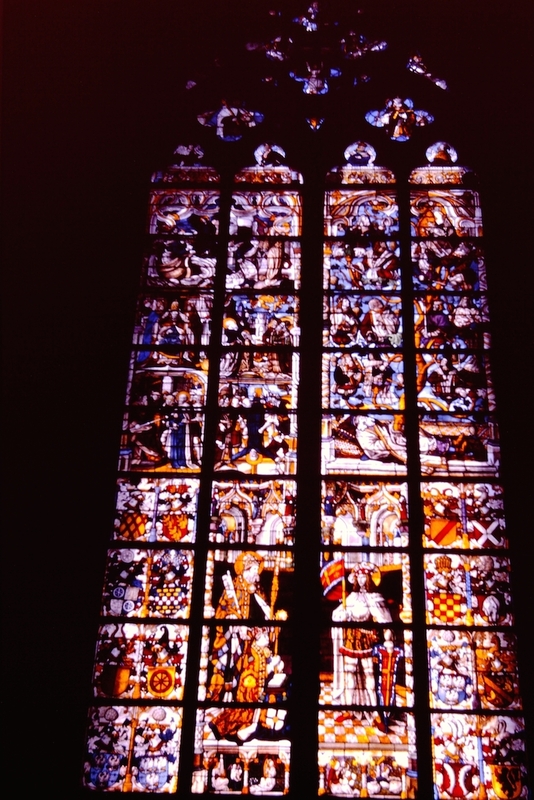 The history was truly astounding, with one building we passed by with a sign dating it to 1322! Some of the towns we drove through had old gates dating back to the Middle Ages that we drove under. Leaving Bäckerath we drove by a old castle on a ridge — now a youth hostel — overlooking the Rhine. The view overlooking the river and the hillside vineyards clinging to mountain sides made songs from Richard Wagner ring in mind. After studying German language and culture, I was standing in cultural birthplace of Germany taking in views of the traditional and cultural heartland of Germany. We followed the winding Rhine River north on our journey to the Bundeskapital, Bonn, before entering an autobahn for the first time. I began to see the genius of German roads that inspired General Eisenhower to construct the interstate system in U.S. later as president. Upon arrival in Bonn at 12:30, we traveled to the home of Barry’s friend, Dr. Rolf S. and his wife, Ulrike. Barry and Rolf have been friends for many years dating back to their time in the Friendship Corps. Rolf studied at UAB for a while and brought his wife and two daughters over to Birmingham to live. Now he is a Human Resources executive at Deutsche Telekom. Enna, their 19-year-old daughter, prepared us a nice lunch at around 1 p.m. Barry brought Rolf a compact disc of the band Alabama since he was a big fan. They spent a while reminiscing and talking about past experiences. After lunch, Ulrike carried us to the Hauptbahnhof in Bonn. The three of us boarded a train to Köln. There we walked around the beautiful old town with its cobbled streets and Christmas markets open. It was also the first time that I had visited a German pedestrian street mall which was really an interesting concept I would like to see in the United States. 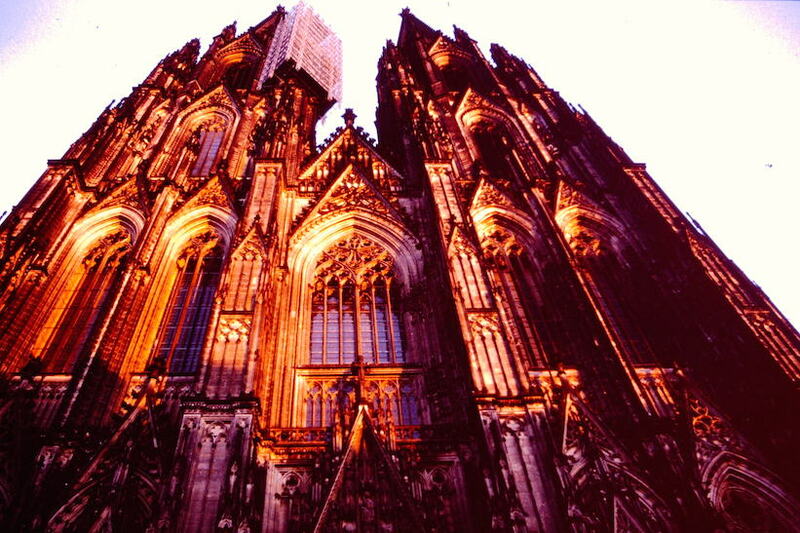 Then, we toured the world-famous Köln Dom (cathedral), which is the largest Gothic cathedral in the world. It’s scale truly put Salisbury’s in England to shame. 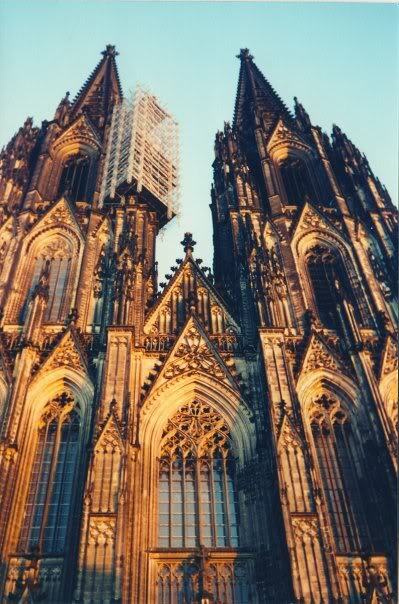 We then boarded a Deutsche Bahn back to Bonn where Ulrike dropped us off at our hotel. Later that an evening, Barry and I drove to a nice German restaurant in city center where our hosts had a reservation. Rolf, Ulrike and Enna were wonderful hosts and guided us through the best choices on the menu. I had a turkey schnitzel with a pint and half of a local German brew called Bitburger Bier, which is a golden Pilsner. We had a full five-course meal with dessert followed by some kind of plum-flavored brandy. Rolf was truly a gracious host who paid for our meal, drinks, accommodation and train tickets to Köln. Barry told him that was not necessary, but Rolf insisted. What fantastic hospitality and great conversation we had! After dinner, Barry and I drove back to the hotel. We watched a little German television before going to bed at about midnight. As if by Magic, Brussels Arrived!